Swaging is a cold forming operation used to reduce the outside and inside diameter of a tube. It is useful for medical, industrial and aerospace applications (such as landing gear tubes and aircraft instrumentation) where a diameter reduction is required but a multi piece assembly is not desired or is too expensive. Tube swaging is an art which requires experienced operators, precisely formed dies and well maintained equipment to accurately form parts. 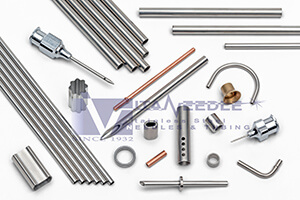 Vita Needle has both the equipment and talent required in order to produce swaged tubes in quantities from handfuls to hundreds of thousands. 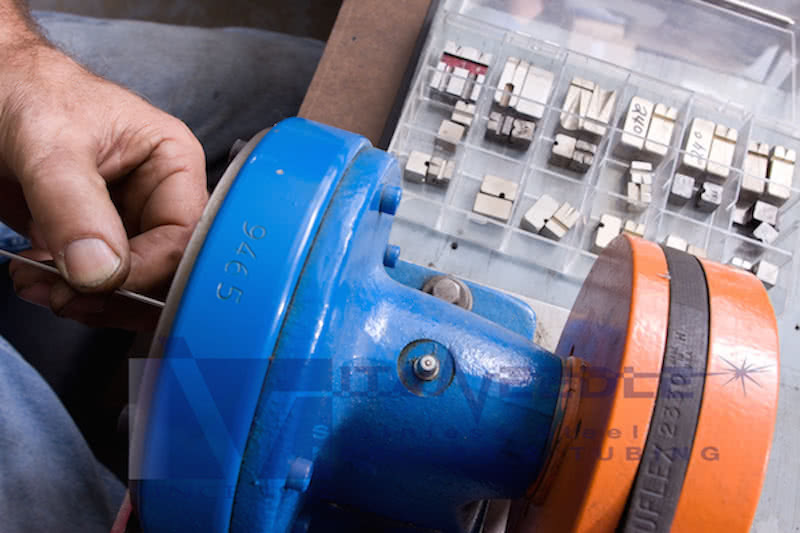 Vita operates over 1 dozen swaging machines which allows us to accommodate diameters from 1/32” OD to over 1/2" OD, subject to wall thickness requirements to prevent cracking during forming. 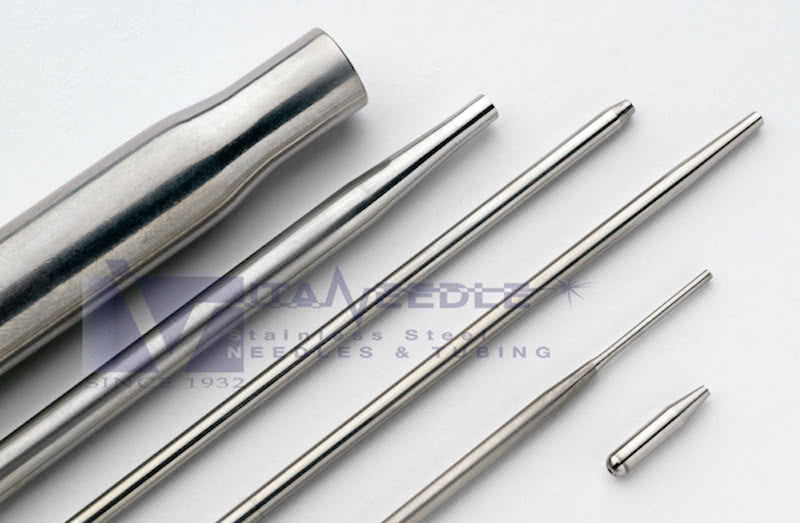 Both short and long tapers of 6” or more can be manufactured as well. Swaged end closures (pencil point) typically have an included angle of 12°-15°. All orders are made to customer specification, so please specify the desired angles, diameters and taper lengths when submitting a drawing for quotation!